Nampak Plastics Europe maintains its edge on leading the packaging market through the inclusion of recycled HDPE into its plastic bottles using closed-loop recycling – where waste bottles are collected and reprocessed to be reused. This is widely acknowledged to be one of the most effective forms of recycling. We are committed to reacting to the emphasis on packaging weight and we welcome the responsibility of providing products and services that minimise the impact on the environment. 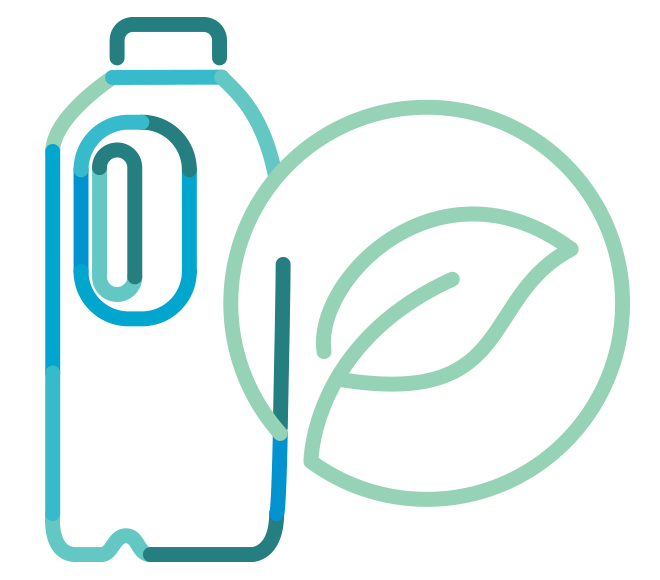 As such, we are focused on light-weighting our bottles to provide greener packaging for all of our customers, without compromising durability. Packaging lets us transport, store, protect, preserve and consume products in ways that prevent waste. For example, packaging protects vulnerable products from contamination, damage or spillage, and preserves products for longer, reducing waste by allowing more time for consumption. Packaging also allows objects to be easily stacked in transit, saving space and making distribution more efficient. In 2011, we conducted research to measure our carbon footprint and identify the sources of CO2 throughout our processes. We found the largest contributing factor to our carbon footprint is the energy used during manufacturing and distribution. Through targeted energy saving initiatives, we have minimised energy used in manufacture at our sites. Our in-plant operations, where bottling and filling take place on a customer's site, have reduced distribution. Our innovation in lightweighting has also allowed us to deliver an overall 16% carbon reduction. Through the use of recycled plastic we constantly strive to improve the environmental impact of our products. By using recycled material, we are able to decrease the volume of plastics going into landfill and incineration which also goes a long way towards reducing the demand for virgin plastic. Nampak Plastics Europe has various contracts in place for the supply of tonnage recycled HDPE (rHDPE) enabling us to produce bottles with up to 30% rHDPE. Our target is to achieve higher levels of rHDPE in the future.